Ebookers Uses 3d Pavement Art five stories up! So we created a permanent piece of 3d Pavement art over 9 metres long. 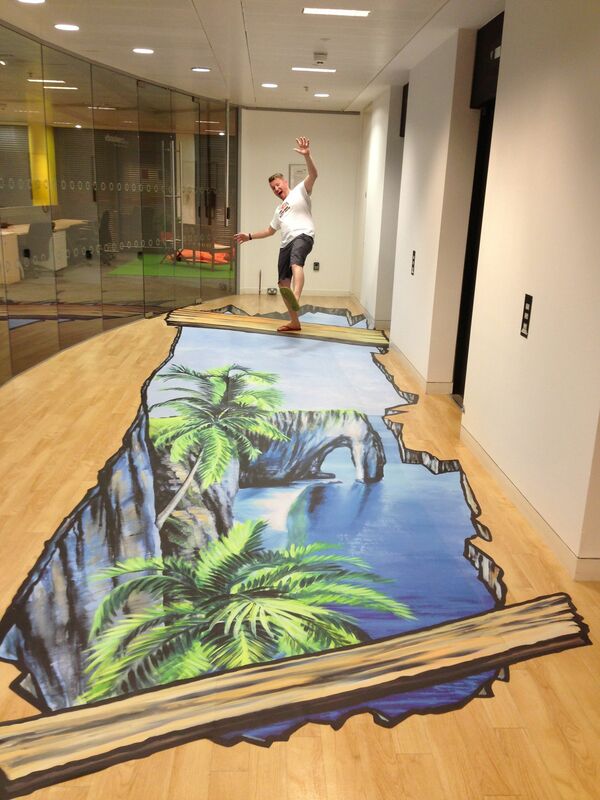 Anyone coming out of the lift was in for a shock our pavement artists had created a stunning beach scene with planks balancing over the huge drop!